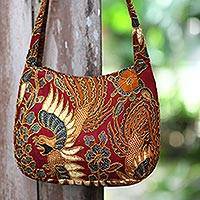 Originating from Madura Island, Madurese batik motifs are characterized by floral and animal designs realized in red and brown. 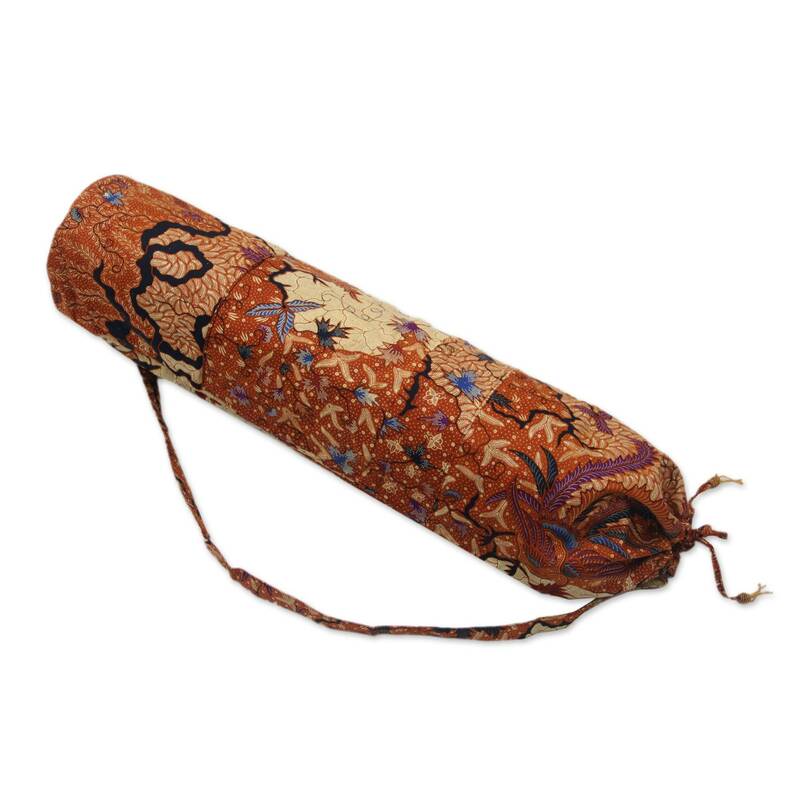 Balinese artisans craft this yoga mat bag from cotton, decorating it with Madurese floral motifs in blue, purple, tan, and brown. A strap lets you carry it over the shoulder and it closes with a drawstring at the top. Wahyu Sulistiani presents this characteristic yoga mat bag. Bag: 72 cm H x 20 cm Diam. Bag: 28.5" H x 7.75" Diam. Artfully crafted by Wahyu Sulistiani from Indonesia. "My products might take longer to finish because of the hand-sewn beaded details, but I am always satisfied with the end result." "People know me as someone who is always keen to learn new things and new techniques. I was born on June 1st, 1973 in Bojonegoro, East Java and I come from a loving family who taught me that I must work hard if I want to succeed in life. Now I am married and we have a lovely daughter. "In 2000, after graduating from high school, I worked at a hotel in Singaraja for a couple of years. 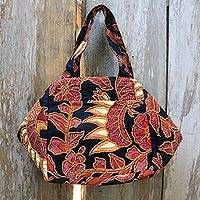 Still trying to look for a better life, I moved to Denpasar where I met Ms. Yumiko, a Novica featured artisan, and I began to work at her batik workshop. 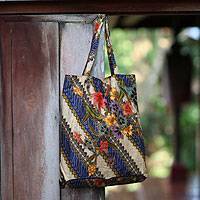 "I wasn't only working, I was also learning how to make top quality batik, as well as how to contact suppliers and how to sell. 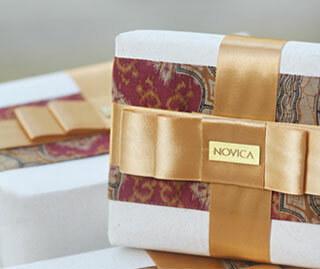 One of my greatest learning experiences was when Ms Yumiko received a large order through Novica. We had to apply ourselves, be smart, calculate pricing and time. We got to know what we were capable of achieving considering the time we had to complete the order! 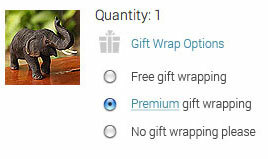 "I was so happy when we received this order though, because it meant a good financial bonus to take home for my family. 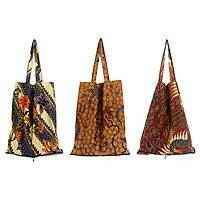 "Now I have my own small batik workshop, where I specialize in handbags, cushion covers and table runners. I detail them with beads, like Ms. Yumiko taught me. 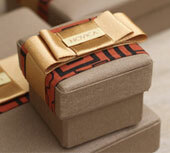 "My inspiration comes from many sources, including customer's comments, magazines, fabrics, and websites. However I do not copy what I see – it inspires me to create something new and original while keeping it trendy. My products might take longer to finish because of the hand-sewn beaded details, but I am always satisfied with the end result. "I hope that by joining Novica I can improve our family's quality life and provide my daughter with a better education."